Dubai is known for its iconic buildings, from the Burj Khalifa to the Burj Al Arab. 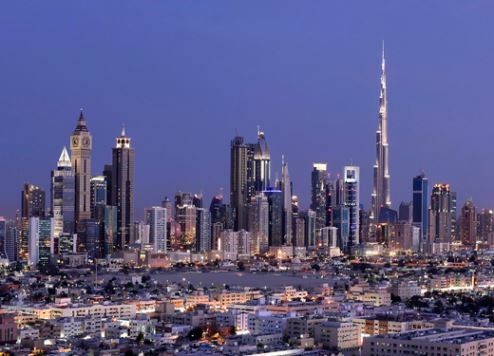 Now, a list of the world’s 100 tallest buildings reveals 19 of them are in Dubai, with more soon to be added if proposed projects are realised. The listing, produced by The Skyscraper Centre of the Council on Tall Buildings and Urban Habitat (CTBUH), says Dubai hosts almost 20 percent of the world’s tallest completed buildings. At 828 metres tall, the Burj Khalifa in Downtown Dubai is the tallest building in the world – a position it has held for almost seven years. It’s almost 200 metres taller than its nearest rival, Shanghai Tower, which stands at 632 metres. Dubai’s next tallest skyscraper is Princess Tower on Al Sufouh Road, Dubai Marina, at 413.4 metres and 20th on the top 100 list. Other notable mega structures, both in Dubai Marina too, include 23 Marina, which is 23rd on the list, followed by Elite Residence in 29th place. Skycrapers under construction or planned were also profiled in other CTBUH listings and once again, Dubai featured prominently. Dubai One, which has been proposed for the Meydan complex, and due to break ground this year, will be 711 metres tall when completed in 2021. It will feature 885 apartments and 350 hotel rooms. The futuristic Burj 2020, which has been proposed for the The Dubai Multi Commodities Centre (DMCC) Business Park, is also on the ‘planned’ list, and will be 550 metres tall if the project comes to fruition. Dubai also takes second slot on the list of tallest all-hotel towers, with both towers at the JW Marriott Marquis Hotel Dubai standing at 355.4 metres tall. What is not known is the height of the new ‘The Tower’, which will be the centrepiece of the Dubai Creek Harbour development. However, it will definitely be a “notch taller” than the Burj Khalifa, according to Mohamed Alabbar, chairman of Emaar Properties, the developer behind both record-breaking towers. Designed by Spanish-Swiss architect Santiago Calatrava Valls, known for futuristic structures such as the City of Arts and Sciences complex in Valencia, Spain, the new Dubai tower will feature a slender, streamlined structure with a needlepoint-like tip, and will offer garden-inspired observation decks decorated with trees and other greenery, Alabbar revealed at a recent press conference. Construction of the new tower is expected to begin at the end of June, with the goal of completing the project before the World Expo takes place in Dubai in 2020.